Adopted by the Department Of Defence as combat rations in 1975, MREs or Meals Ready to Eat were first produced on a large scale and delivered to our military troops. By 1983, the troops were rating the MREs as acceptable, however, consumption was low due to the lack of flavor and the lack of options. There were a lot of complaints and objections to the flavorless meals. By 1988 the reports were changing and the troops were stating that some of the options were sub-par and others were excellent. Through a period of trial and error the options were stepped up and eventually, they would replace some of the options with freeze-dried beverages and other options including condiments and utensils as well as a flameless ration heater or FRH that would simply be activated and placed inside one of the meals for approximately ten to fifteen minutes to heat the meal. Hot sauce was then added to all of the meals to help make it more palatable and the wet pack fruits would then replace the dehydrated fruits and they also introduced candy into 4 of the menus for an added total of 8 menu options that included candy. Troops who were deployed during Operation Desert Storm ate MREs for longer than the intended 10-day timeframe that they had intended MREs to be used for. Many of our troops ate MREs for up to 60 days or longer. Thus, they discovered that there were some changes that needed to be implemented to make them even more palatable. Some of these changes included making the packaging more shelf stable in the heat so that they wouldn’t become waxy and flavor the food with an off taste. The flameless ration heaters were further developed to make them quicker to heat and easier for the troops to use when they were out in the field. Over the course of the next several years, there would be more changes implemented to improve the menu options and to improve the beverage and dessert options. It was around this time, during Y2K, that MREs were discovered by the regular civilians. Unfortunately, the MREs that were developed for the military aren’t supposed to be sold to the general population. This is due to the fact that they’ve been developed by the United States Government. Not all sectors of the military adhere to this however and you can typically find them for sale on auction sites and at military surplus stores. The Military MREs are created in accordance with regulations and very strict rules that the United States Military has set up to ensure that the troops are fed a healthy top-notch diet so that they’ll have plenty of energy and stamina when they’re out in the fields. The MREs have a long shelf life and they can be taken virtually anywhere to eat. They’re very popular with campers, hikers, preppers, survivalists, scouting troops, and families that want to have a stockpile of food for emergency food supplies. Thanks to MREs, a healthy, nutritious meal is at the ready at all times. All you have to do is add some water and the flameless ration heater so that you can have a hot and ready meal. With a shelf life of five to seven years, these last a long time and are ideal for food storage and long-term storage. Civilian MREs have a myriad of advantages over the Military rations. They are fresher for starters. Many of the packages are larger than the military rations and thus they offer more sustenance to the consumer. Military MREs that are purchased at online auction sites are typically far less expensive than those that are purchased directly from the manufacturer. Buy a variety case so that you’ll have more options. Learn to check your manufacturer date. You can go to the individual manufacturer and find out how to read the date on the crimp of the packaging. They’re very lightweight and thus, easy to take along on any trip. Even the youngest members can carry a few of these in their backpacks. You’ll have to purchase your flameless ration heater separately in most cases. You may have to heat them in boiling water. You may not have as many options when it comes to civilian MREs over the military MRE options. It’s important to be wary of counterfeiters. Unless you can see the manufacturer date, you’re not always getting what you think you are when you buy at online auction sites. Sometimes the online auction sites have great deals, but missing parts such as the ration heaters or the utensils. 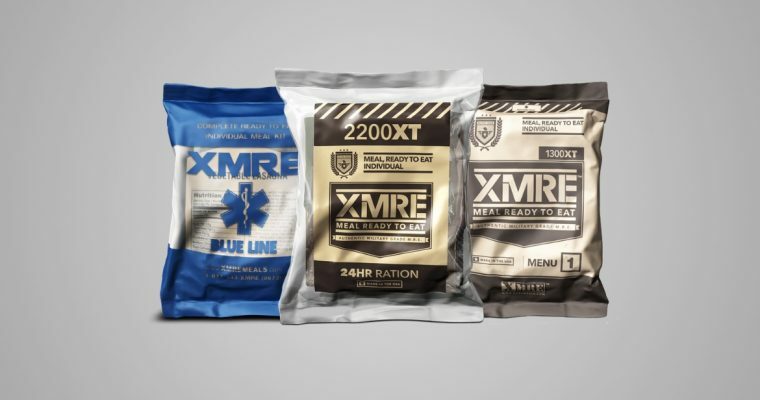 What Exactly Is An MRE? Meals ready to eat are meals that are all prepared and at the ready. They require a small amount of water and heating up and that’s all there is to it. They can be eaten just about anywhere. They’re ideal for parents who are on the go with sporting or after school events. With an excellent shelf life, they can be taken anywhere, eaten anywhere and are an ideal option for survivalists, campers, hikers and busy parents who want a fast healthy meal on the go. Since they don’t require refrigeration they are ideal for storage. Ideal since they’re lightweight and portable they are an excellent option for fast and ready meals full of nutrition. If you’re seeking a genuine military MRE, you’ll want to shop on eBay or at a military surplus store. Always make sure that the site you’re purchasing from lists the manufacturer date and make sure that the product you’re going to purchase is within five years of that date. 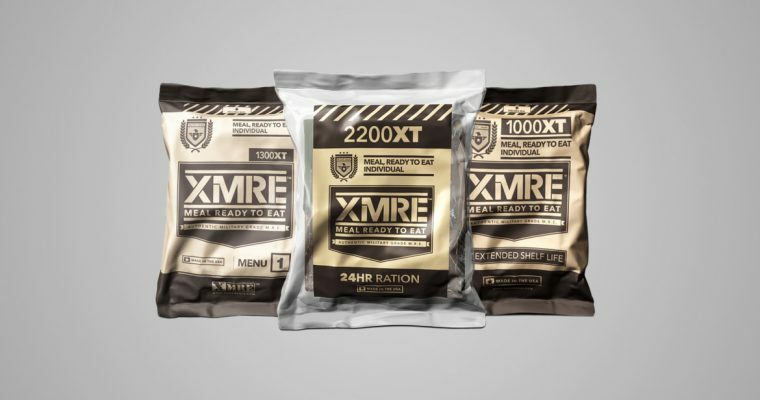 While MREs will last as long as 25 years, you’ll want to make sure that you’re getting the freshest product you can possibly get the best flavor and nutrition. Make sure you understand what you’re getting. You’ll want to have plenty of options if you’re in an emergency. Don’t get stuck with just snacks or just entree’s. Be sure that you’ve purchased a good variety of options. Know whether or not you’re going to have to buy the utensils and the flameless ration heaters separately. Watch the calorie count, some will be 1200 and others may be as high as 3000. Opt for a mix, some day’s you’re going to be hungrier than others. Storing your MREs is really easy. All you have to do is stack them or keep them in the case. Many people put them in 5-gallon buckets in their own packaging and then seal the buckets in an effort to prolong their shelf life. If you have a pantry, they can sit on the shelves in your pantry. You can also store them in the cases that they arrive in just be sure that you date the cases so that you’re using the oldest product first. There are many places that you can find MREs to purchase. Here are some great ways to find them and to take advantages of sales and special deals that can be found on MREs. 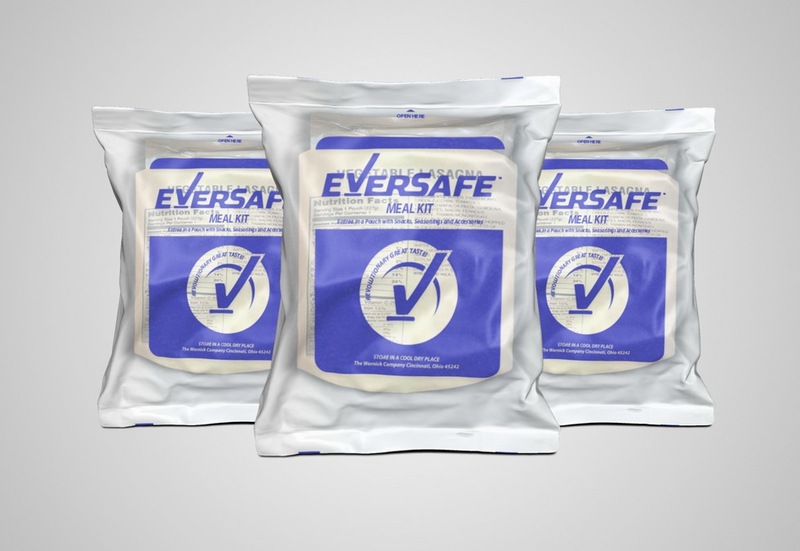 Start by signing up for newsletters on several of the manufacturer’s websites, such as Eversafe, MRE Star or XMRE. The newsletter will alert you when there are going to be sales, specials and discontinued products on sale. You’ll want to take advantage of these if you’re trying to stock up on food for a doomsday prepper type scenario, for camping, hiking, extracurricular activities that may be going on for the kids etc. Many of the manufacturer’s sites have deals on a monthly basis so watch for these and take advantage of them when you’re able. You may find that if you do this for a year, you’ll have all that you need and you’ll have only paid about half the cost of it by having taken advantage of the specials. Be sure to check out several different sites as they will all have different deals going on. Amazon has a variety of deals that come directly from most of the manufacturers. You can get these sent to you on a one-time basis, or you can order them to be shipped to you monthly, every three months, six months or annually. It’s all up to you. There may be deals periodically that you can take advantage of as well. Don’t forget, if you’re buying on this site, you can use your gift cards to purchase the MREs and that can save you a lot of money. You won’t have to spend your own money if you just ask people for gift cards for holidays and birthdays etc. It’s a great way to get ahead and stock up on food stores. Online auction sites are a great way to stock up on your MREs. However, keep in mind that you want to know the manufacturer’s date and if the auction doesn’t list it, you’ll need to ask the seller for that information. Avoid products that are over five to seven years past the manufacturer date. You want products that have the most recent manufacturer date so that you’ll know that the products that you’re buying are the freshest products possible. 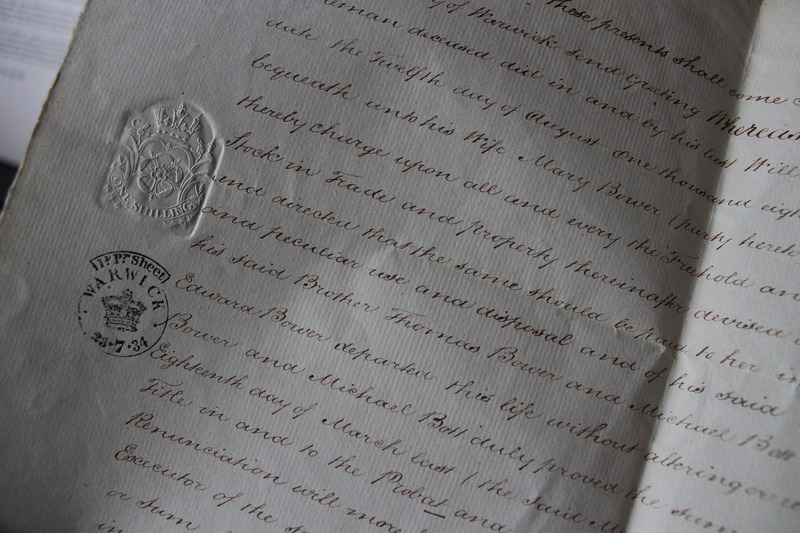 If you can’t read the date, go to the manufacturer website and read how to read it on their particular products. Typically it’s a code on an end crimp of the packaging. If you’ve ever been to a sporting goods store, you already know that they have a wide variety of great camping products. Check out the camping area and you should see a few displays of MREs. These will vary in price so be sure to pick and choose carefully. Again, read the expiration date and watch for deals where if you buy certain products, you’ll get so many MREs for free. Also, you’ll find that they often will have products that have been discontinued. These will be at a steep discount and you can save that way as well. Ask them for deals and remember, many sporting goods stores have gift cards as well that you can use to purchase these products. There are a variety of big box stores today and most of them carry camping supplies and bulk foods sections or sections where they sell foods for large sized families. All of these areas will have some options in them so be sure to check all 3 of these mentioned sections. You can pick and choose and save a bundle when you buy here as well. Again, you can use store cards, gift cards and the like to stock up on your MREs and your family will greatly benefit and save money on food. Here you’ll find some great deals on military and civilian versions of MREs. Be bold and ask if they have any cases that they’re willing to sell for a discount. Again, find out the manufacturer date and read the fine print. If the packaging looks ancient, it probably is and you may wish to shy away from such a purchase. It might be outdated. However, if the packaging looks neat and tidy, clean, you’ll want to purchase as much as you can and stock up on supplies. This can save you a small fortune. Military surplus stores are often willing to wheel and deal just to get stuff out of the store so don’t hesitate to make offers and ask questions. Believe it or not, gun shows draw preppers like magnets. Where guns are sold, preppers like to congregate so this is an ideal place to find some great deals on MREs. Here you’ll find displays and you can pre-order, grab a case while you’re at the gun show, or at least get a brochure and find out more about it. Often they’ll have some samples that you can try, some sample packages for sale and you can sometimes get a bulk discount. There are many great ways to take advantage of the deals at a gun show and you’ll find that you can really stock up. If you don’t see any MREs at a gun show, be sure and ask, they may not have them out or they may only sell them to those that inquire. It’s always worth asking about them. Join a prepper group or a church group that believes in prepping and you’re likely to find a variety of options for buying MREs in bulk. Here, the power of bulk buying come into play. The more you buy the less expensive it is going to be. They work together to take advantage of great deals. 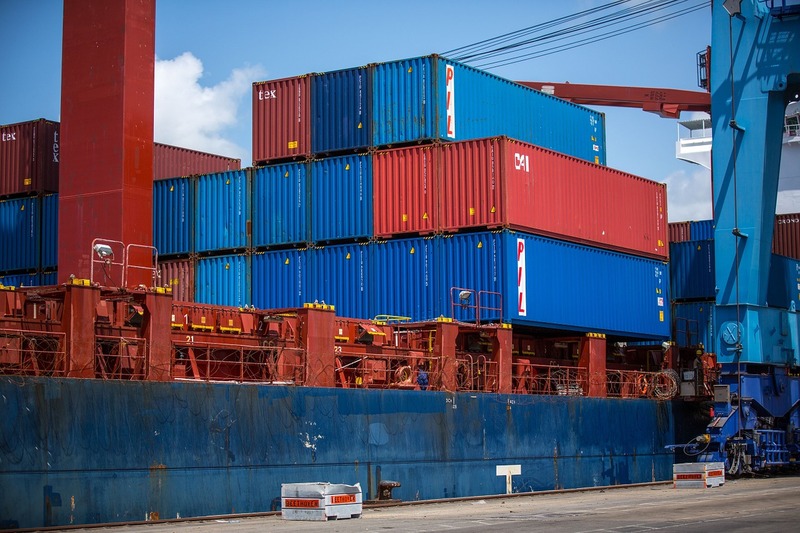 Everyone will pool their money and order and then the shipment either goes into a stockpile, or it is divided up among the various members of the group. These groups typically get together weekly or monthly and work together for the good of the entire group. It’s a great way to take advantage of bulk buying and steep discounts. Another great way to find MREs are at auction or estate sales. Many elderly persons stockpiled things in the 60s, 70s, and even the 80s. If you don’t mind some outdated MREs you may be able to find some here. It’s amazing how many people really did prepare for the end times and now their families aren’t aware of what they actually have. So they sell them. At a huge discount just to be rid of them and avoid having anything that needs to be moved. You can really stock up on auction and estate sales if you’re looking for MREs. Yes, you’ll find MREs here as well. People will get rid of anything and if you’re in the right place at the right time you might be able to stock up here as well. Ask, they may not have them out, they may be in the back room. Don’t be afraid to wheel and deal here. It’s amazing what money in hand can do and buy for you. If you walk in with money in hand and they have it they’ll likely make a deal with you. There are many great survivalist sites out there. Find one or more and check back often, you’re sure to find some great deals on MREs that you can take advantage of. Ask around, be sure that you’re specific in what you’re looking for and be ready to buy when you ask. You can find these both online and offline. Just use “survivalist” as your keyword for searching and you’ll find some to take a look at. You’ll also find other survivalist gear at these sites so be prepared. Along with the antique stores, be sure you check back in with thrift stores often. Some thrift stores will give you a call when they get MREs in if you just jot down your name and ask them to call you. Thrift stores want to keep products moving so this is a great way to help them keep products moving. A lot of people try volunteering at a thrift store to get first dibs on products. This is a great way to stock up and save money on your MREs. Occasionally you’ll also find MREs at local faires and farmer’s markets. It’s always worth a stroll through the venue to see what is up for sale. Sometimes you’ll find a survivalist group that is doing a demonstration at such events. If so, you’ll find some great deals. Just take a quick stroll and see if they have anything such as MREs at these events. Again, just as in the estate sales and auctions, many people don’t realize what they have. They sell these just because they don’t realize how valuable they truly are. Check yard sales and garage sales often and make it a habit to do this on a weekly basis and you’re sure to find something that will help you out. You could even offer to help with the yard sale or garage sale in exchange for them giving you the MREs. Many people make a living just going around and helping people with yard sales and garage sales in order to get part of the items that they’re selling for nothing. It works well if you’re so motivated. Many people mix and match how they buy their MREs so that they can stockpile their food for an emergency situation. Some people also work as distributors in an effort to buy the products at cost. If you’re creative, willing and able, you can come up with all sorts of ways to save money on MREs. Find them on sale, mix and match deals and don’t be afraid to ask questions. Often it’s the ones that ask questions that get the best deals. Also, consider asking around in the community. Read the ads in the paper, it’s amazing how many people inherit some MREs and just want to be rid of them so they advertise “make offer” and you can really stock up if you hit these deals. Most people who buy MREs are always on the lookout for the deals and they might spend a day each week in preparing for such cataclysmic events. Once you get into a groove and find some great deals you’ll be hooked. Today, thanks to the Internet, it’s easier than ever before to find MREs on sale and take advantage of huge sales. Just watch for the deals and stock up when you find them. It never hurts to ask and the only dumb question is the one that isn’t asked. More people than ever before are using MREs and they are continually evolving to better options, entree’s, snacks, beverages, and foods. They pack all of the required nutrients in a meal and offer the person eating them a hearty meal that will help them to stay healthy. We should remember that MRE Meals is a type of food purchased by the Government of the United States of America, which is light and nutritious and is used in cases where places can not be established to quickly provide food for soldiers in combat or on patrol. However, there is a problem that strikes the minds of civilians who feel interested for the first time in obtaining one of these rations out of simple curiosity or to meet their safety needs in case of an emergency: If this product is made for exactly the Department of Defense of the United States of America, means then, buying MRE Meals is completely illegal as well as selling it ?, as the legislation has another opinion. Since thousands of sales of MRE Meals have been made directly to civilians, the United States Department of Defense has been obliged to place a statement on each of the bags containing the MRE Meals : US Government Property, Commercial Resale is Unlawful. However, this plan has a ruling and is the same legislation. Within the United States of America Legislation there is not a single law that proclaims the sale of MRE Meals as illegal, and although the Department of Defense looks for that these rations are not commercialized, without laws that protect said case, will remain Sold. Given the increase in sales of these rations on the Web, the United States Department of Defense was in need of verifying where the rations were being sold. His intuition marked that they were resold rations given to refugee citizens at the time of Hurricane Katrinna. However the costs quickly showed something and it was that such MRE Meals can be bought from the special producer that originates them. This is totally legal and the resemblance to the original portions is almost undetectable. Things like the bag that involves the ration and the shape of the spoon found in it, however the rest of content is completely intact without any problem and has the same nutritional capacities as the one given by the United States government itself. America. A place where MRE Meals can be considered illegal is in the airplanes. Several of these meals have heaters without the need for fire, and this can generate a giant problem. These heaters emit a chemical reaction in which the Hydrogen is released from the water, gas which is extremely flammable. To avoid disaster or aerial accidents for possible fires, these rations are prohibited unless fully wrapped and packaged directly into the original box where the ration came from. Finally we have shown that in case you want to buy a ration, you do not need any special type of permission and it is completely worthwhile to be able to acquire one to suit your own needs.